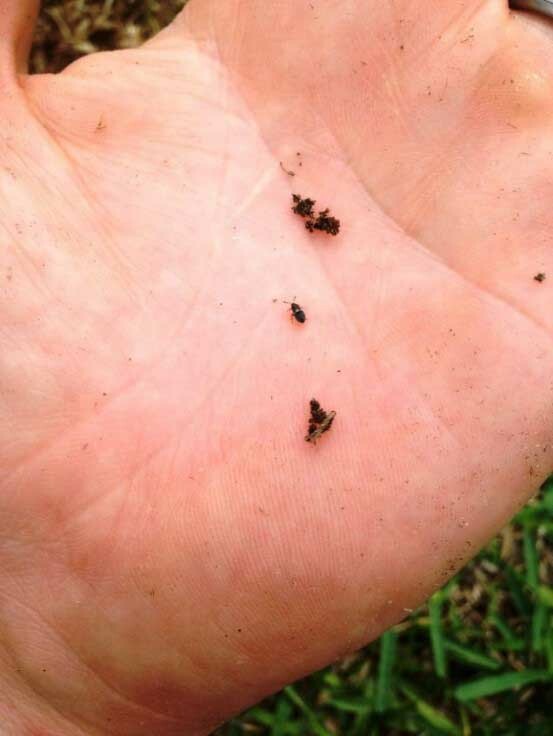 Summer Pest Alert: Are Chinch Bugs Damaging Your St. Augustine Lawn? Summer heat has hit hard this year. Along with the heat and dry weather come a host of insects that can damage your lawn and gardens. This year, certain insect populations have grown out of control because of the mild, wet and long spring we experienced. Right now, chinch bugs are causing a lot of damage to local lawns, especially St. Augustine lawns. While chinch bugs may be more common in St. Augustine lawns, know that they also cause damage to Bermuda and Zoysia lawns. Appearance: Chinch bugs are very small insects with six legs that only grow to about one-fifth of an inch long. They have black bodies that are covered with frosty white wings folded over their backs. Lifecycle: Early in spring, once temperatures reach 70 F degrees, chinch bugs mate. Females lay up to 500 eggs on grass leaves, stems roots or in other protected crevices over a period of two to three weeks. Each year we can experience up to four generations of chinch bugs. Damage: In a short amount of time, chinch bugs can destroy large swaths of your lawn. They damage lawns by inserting their beaklike mouth into leaf blades and sucking out the moisture and nutrients, while also adding toxins back into plants. Grass leaf blades will turn yellow on the edges and then brown out in large patches. Chinch bugs love the heat so they’ll tend to start by damaging parts of lawns close to hardscape such as driveways, curbs, sidewalks or along the foundation … anywhere it’s very warm. Take a look at the video of this chinch bug infestation we found in a local lawn. 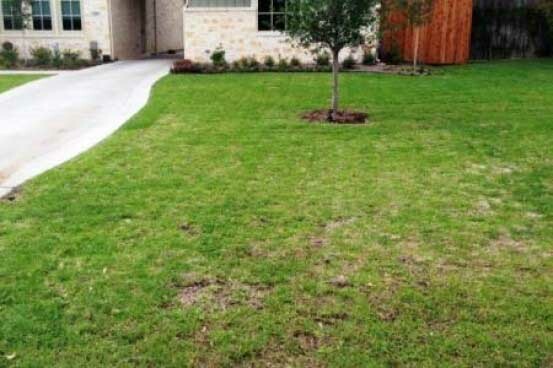 Reduce chinch bug damage: Keeping your lawn properly watered and maintained year-round, plus feeding your soil so that their predator’s populations increase, will help to control chinch bugs. While chemicals are often the most common method to treat chinch bugs, chemical pesticides can damage the bio-activity in your soil, which will also kill beneficial insect predators. As part of our Soil Building program, we treat naturally for most insects, including chinch bugs.